You will never be lost for words with Berlitz - from arriving at the airport, to ordering food and drinks, sightseeing or booking accommodation; this portable phrase book and dictionary is your perfect companion. Featuring over 8,000 everyday phrases, you will be able to converse with confidence in any situation that you may come across. You will never be lost for words with Berlitz - from arriving at the airport, to ordering food and drinks, sightseeing or booking accommodation; this portable phrase book and dictionary covers everything you need to know to enjoy your trip. Featuring over 8,000 everyday phrases, you will be able to converse with confidence in any situation that you may come across; whether you are travelling with children, on business, or you have a disability. You can forget spending hours of valuable time rifling hopelessly through pages of dull, small print, because the easy-to-use, colour-coded sections in this book allow you to flick straight to the phrase you need; leaving you more time to enjoy yourself! Language is up-to-date and accompanied by clear pronunciations, so you can start using this book straight away, regardless of ability. Full-colour photographs and illustrations help to visually clarify many important subjects, such as currency and motoring signs. 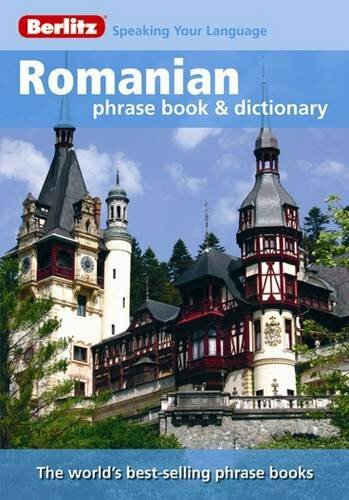 Also included is a comprehensive bilingual dictionary and quick reference table for the most essential phrases. With language as no barrier you can truly get the most out of your destination.